Delegation of Center for Climate Risk and Opportunity Management in Southeast Asia and Pacific (CCROM-SEAP) of the Institute of Research and Community Empowerment of IPB (LPPM IPB) together with the Mayor of Bogor, Dr. Bima Arya, Head of Regional Planning Agency, Head of Cooperation as well as two City Government staff participated in the International Forum for Sustainable Asia and the Pacific 2015 (ISAP 2015) in Yokohama, Japan. 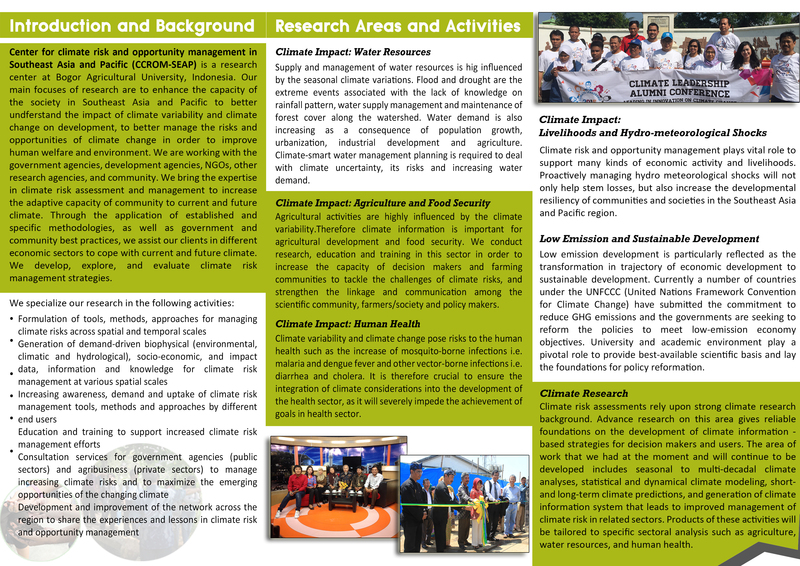 ISAP is an annual event focusing on policy issues related to climate change and the achievement of sustainable development goals in the Asia-Pacific. 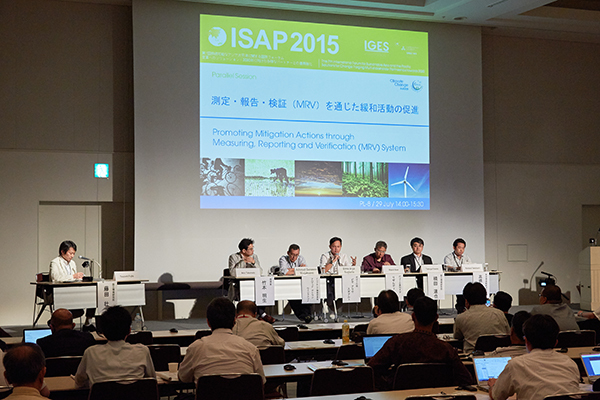 This special event took place on 27-31 July 2015, organized by the Institute for Global Environmental Strategies (IGES) and the National Institute for Environmental Studies (NIES), one of the research institute that focuses on the field of the environment under the Ministry of Environment of Japan. 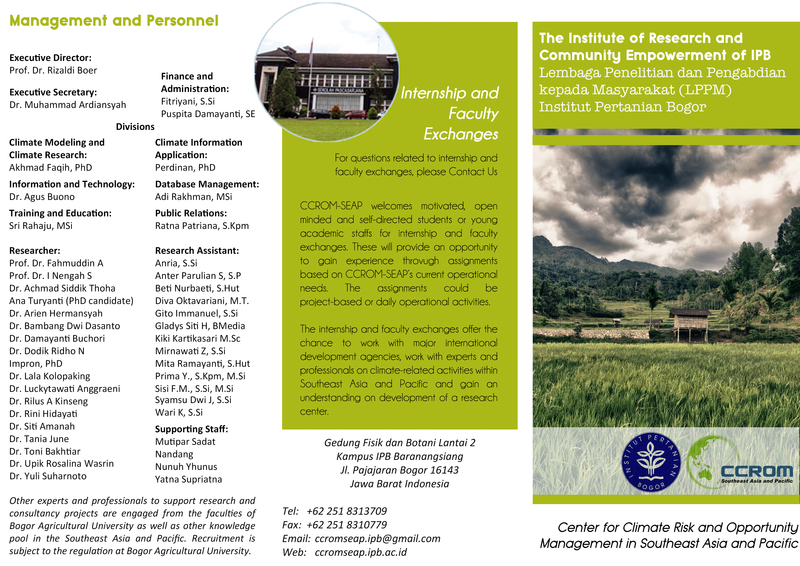 Director of CCROM-SEAP LPPM IPB, Prof. Rizaldi Boer, mentioned that in this opportunity the delegations also discussed about follow-up actions on the cooperation between IPB, NIES, and the Bogor Municipal Government on the development of a monitoring system energy use in the city of Bogor. Through this cooperation, NIES will provide a grant for energy measurement tools to monitor the energy consumption from time to time, such information will be required by the municipal government of Bogor to propose governmental policies for the establishment of Bogor city as a Green City. Prior the ISAP 2015 meeting, IPB and Bogor Municipal City delegations were officially accepted by the Vice Mayor of Yokohama city in Yokohama City Hall. On this occasion, the Mayor of Bogor presented the development plan for Bogor as Green / Smart City. It was expected that the presentation would attract the city of Yokohama to cooperate together. Not only leaders of municipal government, but also academicians and researchers also participated in this event, therefore they expect to establish Asia-Pacific networks. This international meeting would be the forum to share or exchange ideas and experiences on environmentally friendly concept and low-carbon development of city.